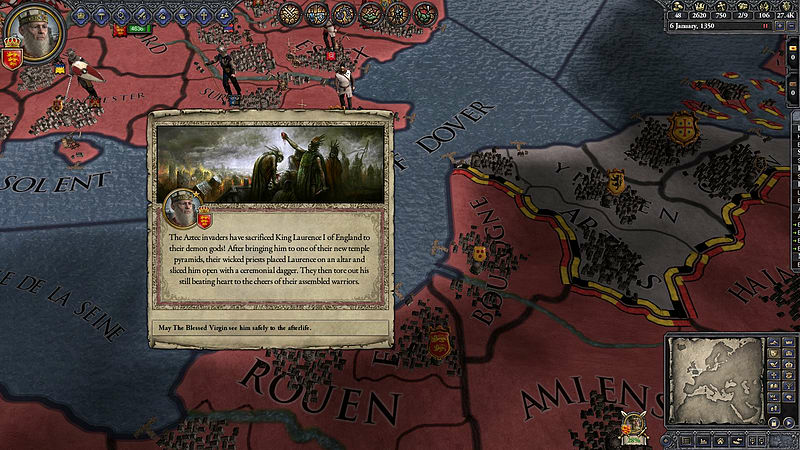 Crusader Kings II: Sunset Invasion is the third DLC expansion for the critically praised strategy/RPG Crusader Kings II. 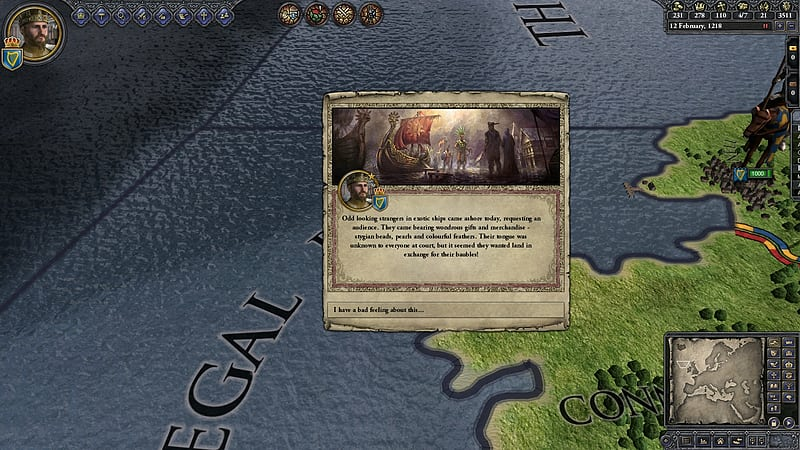 This fantasy scenario marks Paradox Development Studios first departure from history. 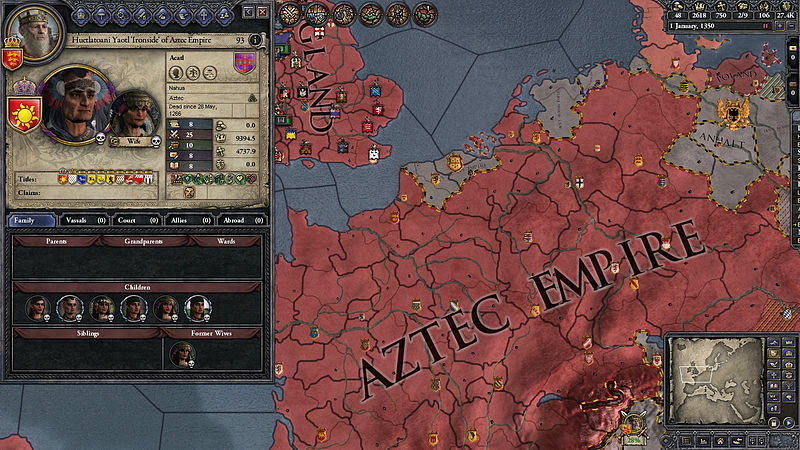 Hearing of Europe from travelling Northmen, the blood drenched Aztec Civilization has risen early and now spread like a virulent plague. Prepare to defend all you hold dear against the Sunset Invasion! 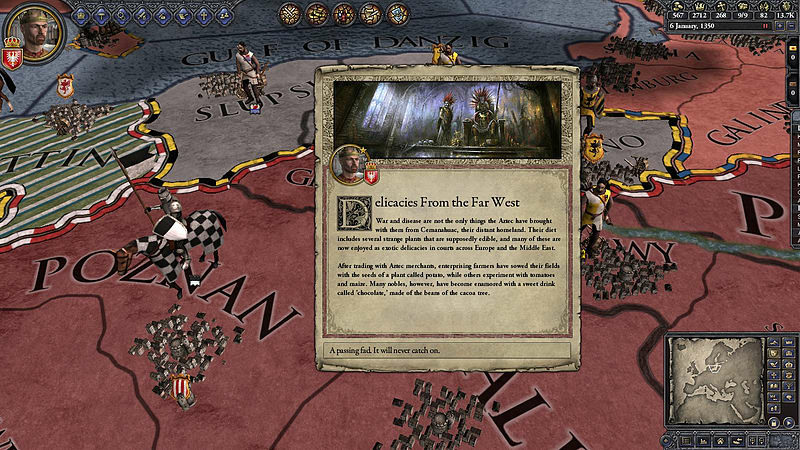 Crusader Kings II explores one of the defining periods in world history in an experience crafted by Paradox Development Studio, masters of Grand Strategy. Medieval Europe is brought to life in this epic game of knights, schemes, and thrones.